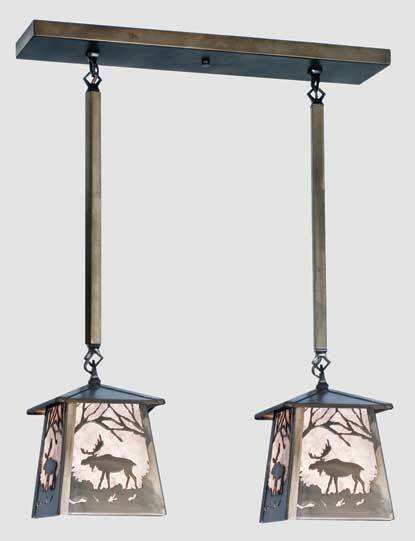 A moose in the forest is depicted on each side of this lantern shades of this two light lantern pendant handcrafted in the USA by artisans. The nature inspired fixture is finished in antique copper and has silver mica glass panels. Custom Crafted In Yorkville, New York Please Allow 28 Days.